You agonize over it. You try to ignore it. You struggle and hope and bargain, but it just won’t go away. Depression can be all consuming because it lurks within you and rages to an audience of one. But if you can verbalize your pain, you might just make a connection. That’s the genius of motivational speech. 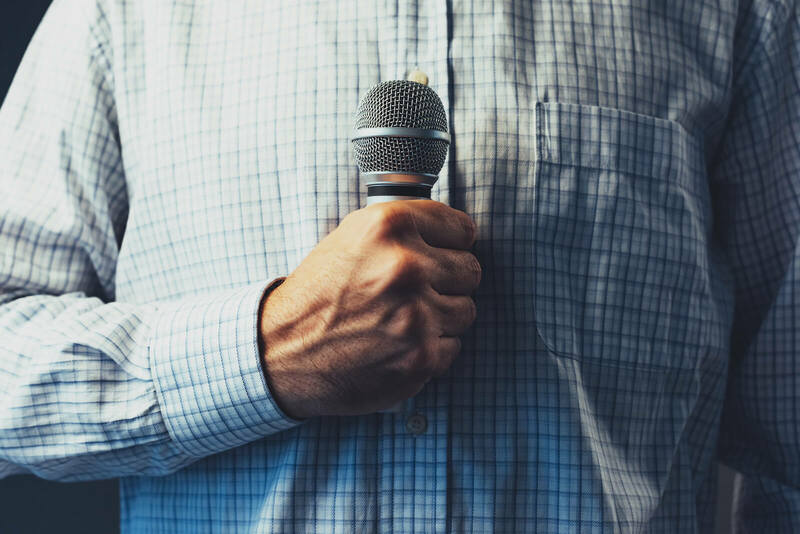 Skilled orators who are able to craft a story around their psychological issues and connect with audiences around the globe have a way of breaking down the barriers that lock depression and other emotional disorders inside us. By creating a link with their listeners, these performers can draw out the demons that exist within us all. Discussing topics like shame, vulnerability, and depression could be a real downer, but not in the hands of Brené Brown. Her irreverent take on modern existence has spawned five, count ‘em five, number one bestsellers on the venerated New York Times charts. Brown’s ability to discuss family, empowerment and other uplifting elements gives her audiences hope in the face of darkness. We mustn’t dwell on the negative, or else it will consume us. Instead, we can summon up the common warrior within us and strike back at the forces that conspire to weigh us down. Rise up with Ms. Brown and elevate your consciousness at one of her next speaking engagements. Stigma is toxic. It dictates not only how we feel inside, but how we are supposed to feel about others as well. It is a judgment, a label, a curse, and a social scourge, but stigma doesn’t need to define us. By calling out the shame and fear from his own past, Mike Veny is shouting down the specters of stigma and calling out a new chapter in life. He encourages his fans to look at themselves as they are; not who they should be, or how others see them, but who they truly are inside. Veny shares his own visceral experiences with mental health disorders, depression, suicidal tendencies, and the lethal realities of living under the cloud of psychological distress, all so that his listeners may see a reflection of themselves in him. These performances are brave, but they are simultaneously vulnerable. Such is the intriguing dichotomy of Mike Veny. Love is the ultimate motivator. It makes us feel elated, wanted, desirable, and included… but it can also make us miserable. Helen Fisher dissects the mercurial powers of amour in her motivational speeches, going so far as to use MRI imagery as visual aids. In these pictures, audiences can see how the human brain is physically impacted when a person endures the heartache of love loss and the exuberance of a new relationship. The dynamic is similar to that of drug and alcohol abuse, which is why Fisher draws the correlation between love and addiction. It’s all about brain chemistry, and her fascinating oration illustrates how behavior can reroute the channels of the mind, thus reshaping how we think, act, and feel, feel, feel! Skipping jauntily from love to happiness, the next speaker on our list discusses how we can eschew depression in favor of a more positive outlook on life. Dan Gilbert describes a “psychological immune system” that protects our feelings like a coat of armor, even when calamity befalls us. According to Gilbert, you can’t wait for external forces to make you happy; you need to cultivate your own joy. Let’s face it: we won’t all win the lottery, but we can work to improve our demeanor to the point where we feel like a million bucks. No matter how many times we say it, hear it, and repeat it, the following truth is often ignored: addiction is a disease. Those who suffer from substance and behavioral issues are often demonized by society, even when the circumstances are out of their control. But Johann Hari is striving to change the way we think about addiction. Blame is often as destructive as the drug itself, sending users into a shame spiral of doubt and depression. This is the breeding ground for further addictive behavior. By understanding – truly understanding – the human beings who struggle with the demons of consumption and dependence, only then will we work together to cure the disease that claims the lives and souls of our fellow citizens at such an alarming rate. The secret sixth entry on our list of five is the person staring at you in the mirror right now. You have the power to speak to your own inner strength, to voice your pain, and to find a better outlook. The ingredients for a happy life exist within your mind; you just need to stir them properly. You naturally produce brain chemicals that modulate your happiness and also, unfortunately, cause depression. By stimulating these compounds properly, we can harvest the happiness within and leave the bad times behind. Transcranial Magnetic Stimulation is a painless, non-invasive procedure that helps redirect your neurotransmitters to amplify your propensity for positivity. Contact us now and give us a speech of your own. We can’t wait to hear what you have to say. We’ll listen and get you on the right track a life depression-free.